My dad is an avid fisherman who enjoys going out and bringing in the big ones (or lil ones, depending on his luck). Fran and I agreed to join him on a trip out one day, bright and early. 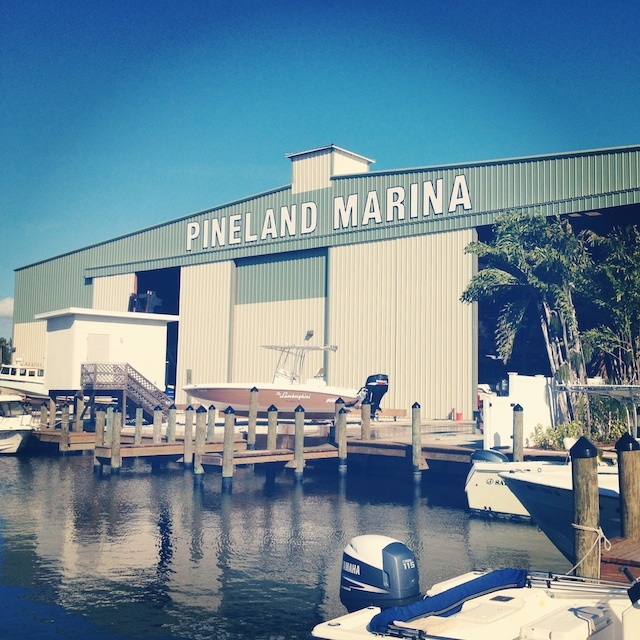 We departed from Pineland Marina just after 9am and made our way out to his ‘fishing spot’. It was awesome to be out cruising around on a boat with my dad, as it’s something I havent done in years. He showed us the area around Pine Island, both in real time and on the map, and we enjoyed taking in the sights. And while the fish weren’t really biting, we had a great time. The weather was fantastic and the water was calm. What a perfect combo. My dad caught a few fish, Fran had a few nibbles on her line, and I got zilch…but it was still a lot of fun. Time flew by pretty quick, and before we knew it, the clock said it was after 2pm and we were pretty hungry for some lunch. So we packed up and headed back to dry land. It has been decades since I last fished. I sort of gave it up. But I’m starting to think it’s something I may pick back up again. No matter what, we will definitely be back for some more fishing with my dad next year! My camera decided to wonk out on this trip, so I only was able to snag a few pics with my phone. I did get a bunch of video, which I will hopefully be able to post once we get somewhere with a decent connection! Tags: fishing, Florida, Pine Island, travel. Bookmark the permalink. You will have to come up here and try fishing. We have bigger fish than that in the lake. I love your logo. Very cute!